The history of Miami is as colourful as the city itself. To prove the point, here are Gray Line Miami’s top ten facts on the history of Miami, and how this city came to be. Take a look - how many did you know already?! 1. Miami, the Everglades and the Keys, were once the home of Tequesta Indians. It’s presumed they arrived in the area around 10,000BC, but it’s been difficult to gather more detail on this since they left very little trace. 2. Miami itself is named after Mayaimi, a Native American tribe. The tribe lived around Lake Okeechobee – Florida’s inland Lake. During the early years of Miami’s growth – the city was better known as ‘Biscayne Bay Country’. 3. Miami was a popular place for Pirates to visit. 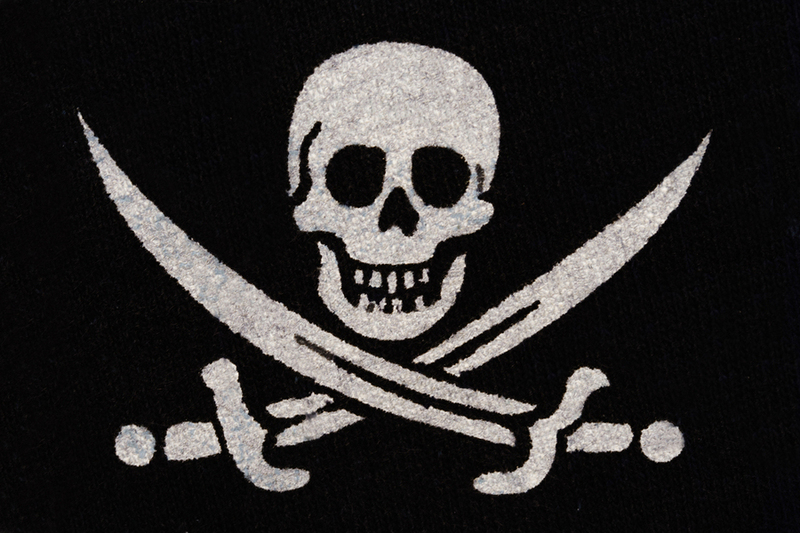 Gasparilla and Blackbeard were regular visitors in the 18th and early 19th Century. Apparently they buried treasure in Miami. Today – Miami is the wreck diving capital of the Americas on account of the shipwrecks here. 4. Miami is the only US city to be founded by a woman. Miami became a city in 1896 after local businesswoman Julia Tuttle who owned a citrus plantation and other land in the city persuaded Henry Flagler to include Miami in his new Florida railroad. 5. After completing the railroad, Henry Flagler made Miami into a tourist destination. He built streets, water and power systems. He built canals to drain water from the Everglades. He also built a resort hotel – the Royal Palm Hotel – one of the first in the area. Miami soon became a tourist attraction and a go to place for the rich and famous. 6. 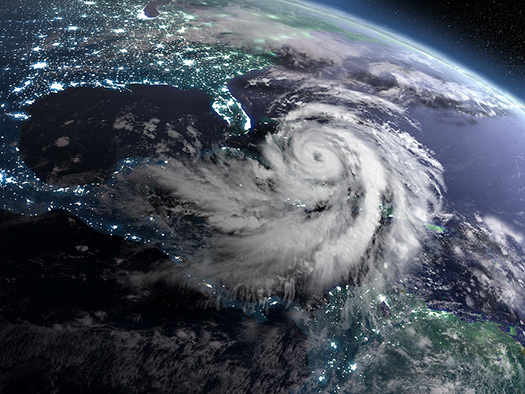 Miami is a victim of a repetitive cycle of ‘storm and rebuild’. This cycle started way back in the 1920s. The development of Miami after the arrival of the railway created a real estate boom. Hotels, shops, nightclubs and the Dixie Highway were constructed during this period. Then, in 1926 a hurricane hit the area and blew away half of the city and took the lives of 300 residents. This ‘storm and rebuild’ cycle continues today. 7. The post hurricane redevelopment of the city in the late 1920s and early 1930s gave birth to the Art Deco movement. 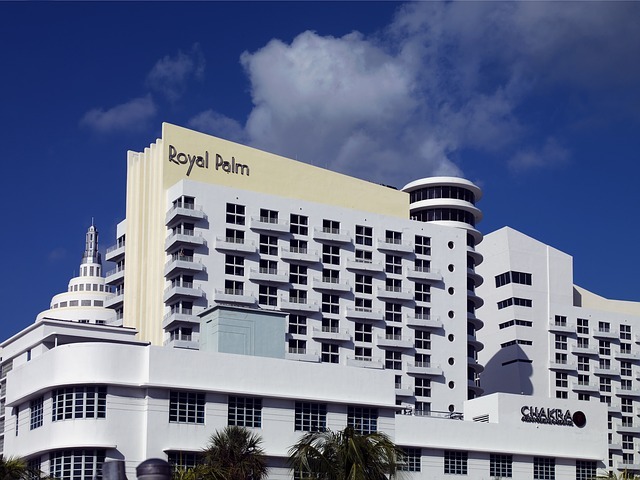 Now Miami Beach has a world-renowned collection of Art Deco architecture. It’s recognised by the national register of historical significance. 8. Miami prospered during World War II. Hundreds of thousands of servicemen and women were trained here. Miami was central to the fight against German U-Boats, which threatened boats in the Florida area. 9. Returning servicemen and the first Cuban wave meant there was a population boom in Miami after World War II – and it defines Miami’s demographics to the present day. After the Second World War, many service people returned to make their home in Miami. Then in 1959, when Cuba’s Fidel Castro came to power, many Cubans in Miami returned home – but many upper and middle class Cubans arrived in Miami, fleeing Cuba. 10. Miami’s image as a glamorous paradise grew in the 1980s. Thanks to TV shows like Miami Vice, which was watched around the world, the image of Miami as a sub tropical paradise grew. Miami wasn’t without its problems but the visitors came and Miami grew into a global city. So there you have it – a taster to the history of our fascinating and unique Miami. Will you #FindAReasonToGo? If you plan to visit Miami, the team and I here at Gray Line Miami, would be delighted to help you explore our area. 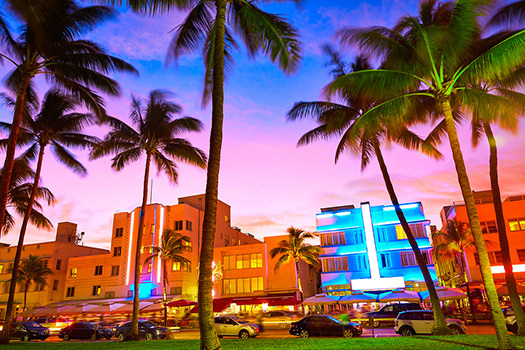 We can handle everything from your airport to hotel transfer, right through to tours of our wonderful attractions, some of which I mentioned in my whistle stop tour of Miami’s history and how she came to be. So, perhaps you might join us on a tour of Miami City and Biscayne Bay – it’ll transport you deep into the history of the city. Or for the ultimate flexibility, you can tour the city on our Miami hop on, hop off bus tour – with an attraction at every stop. Or maybe you would like to come with us on an adventure into the Everglades, aboard an Airboat – and meet some of our most famous or perhaps I should say infamous residents – the Gators. Perhaps you’ll even come with us to Key West and snorkel in the world’s 3rd largest Coral reef – or view the reef from a glass bottom boat.